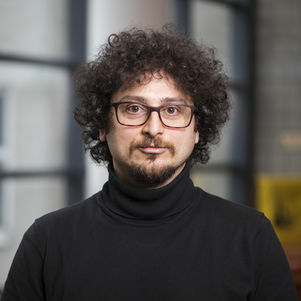 Dr. Behnam Taebi is Associate Professor in ethics of technology at Delft University of Technology, and Associate with the Kennedy School’s Belfer Center for Science and International Affairs at Harvard University. He studied Material Science and Engineering (2006) and received his Ph.D. in Philosophy of Technology (2010). His research interests are in energy ethics, nuclear ethics, responsible research and innovation (RRI) and engineering ethics. Taebi has finished a Veni project (2014-2018) and he is currently working on a joint RRI project on understanding controversies in energy technologies (both projects awarded by the Netherlands Organization for Scientific Research). His research interests are in energy ethics, nuclear ethics, responsible innovation and engineering ethics. Ethics and Governance of Multinational Nuclear Waste Repositories, Personal Veni grant funded by the Netherlands Organization for Scientific Research (NWO). Responsible innovation: linking formal and informal assessment in decision-making on Energy projects, Joint Interdisciplinary Project (see the link below for the project team), funded in the Responsible Innovation Scheme, the Netherlands Organization for Scientific Research (NWO). He teaches a philosophy courses on ‘Climate Ethics’ (WM0535TU) and co-teaches several interdisciplinary courses, including ‘Ethics and Impact of Global Interventions’ (EPA1133) and ‘Climate Change: Science and Ethics’ (CIE4510). Member of the Young Academy, part of the Royal Netherlands Academy of Arts and Sciences. Dutch) Interview met het radioprogramma De kennis van nu over de gevaren van kernenergie. Taebi, B. Dutch Court Breaks Political Stalemate Over Climate Action. The Huffington Post, July 7, 2015. Taebi, B. and M. Mayer. The Russian Nuclear Energy Proposal: An Offer You Can't Refuse. The Huffington Post, June 5, 2015. Taebi, B. and E. Cuppen. 2015. Innovation to Tackle Climate Change Must Be Socially Responsible. Thomson Reuters Foundation, April 20, 2015. Araújo, K. and B. Taebi. 2015. Where Should Nuclear Waste be Dumped? The National Interest, May 26, 2015. B. Taebi. 2014. The Intergenerational and International Justice Dilemmas of Multinational Nuclear Waste Repositories. Carnegie Council for Ethics in International Affairs, 7 June 2014. B. Taebi. 2014. The Missing Debate About Nuclear Security. Reuters.com, 24 March 2014. B. Taebi. 2013. Multinational repositories can address nuclear waste stockpile,Reuters.com, 25 November 2013. Reprinted in The Bangkok Post, The Daily News Egypt and The Jerusalem Post.